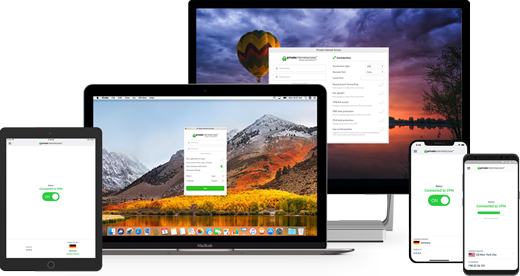 Private Internet Access VPN is definitely one of the biggest VPN brands in the industry. While they show off a huge customer base, is it all hype or is there something truly special about PIA? If you’re familiar with VPNs, you’ll likely have heard of Private Internet Access, or PIA VPN. PIA is a Virtual Private Network (VPN) based in Colorado, USA under London Trust Media, Inc. Right off the bat, that might be a big “no” for many users simply because of the jurisdiction implications; the USA is part of several groups, namely the Five Eyes which allows other members of the group to share surveillance data. But PIA somehow manages to combat this alliance by not storing any data on their customers – and even proved it. No other VPN services have achieved this feat. Privacy and Security: Praises all-around. Absolutely zero logging policy. When it comes to privacy and security, the situation may not seem ideal because of the fact that PIA is US-based. Besides the fact that this company maintains a no-logging policy, it has not only once but twice proven loyalty to its customers. PIA has proved its no-logs claim in court, twice. Not many VPN providers can boast that they’ve never revealed any information about subscribers to the authorities. In fact, the closest second in terms of proving their no log policy is probably a three-way tie between NordVPN, ExpressVPN, and VyprVPN since they’ve all gone through independent third-party security audits. 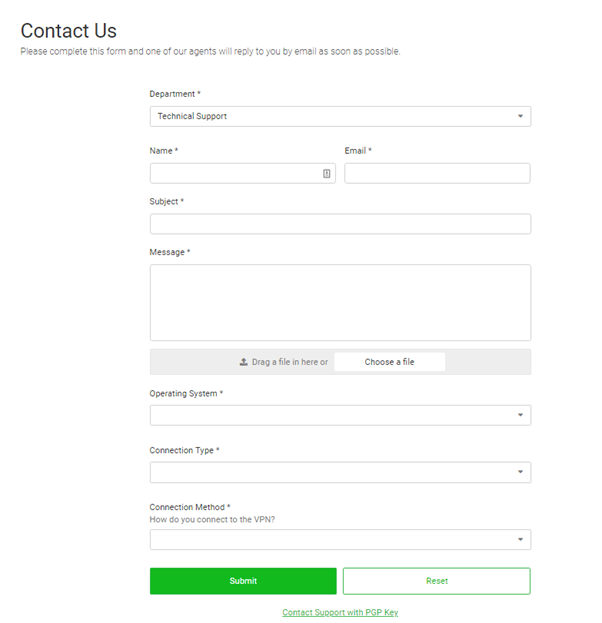 PIA definitely deserves credit and declaration as a secure VPN option for providing clear evidence of its commitment to user anonymity and security. Today, Private Internet Access VPN has over 3300 servers in 32 countries. Although the number of servers is inferior compared to other premium VPN providers, offering over 3300 servers is impressive nonetheless. The servers are well-deployed around the globe, meaning a great range of access for users. This number also seems to change ever so often; we’ve seen the server count at 3700+ in March 2019. This geographical diversity includes North America, South America, Europe, and Asia. Put simply, their servers have most of the world covered. It’s worth mentioning that PIA doesn’t offer any servers in Russia, due to the new VPN laws recently implemented there. Speed and Performance: Plenty of speed to go around! When it comes to overall speed, Private Internet Access fares well against its competition. However, the VPN’s speed depends on a number of factors. There are a few speed qualifications that need to be taken into consideration. When it comes to latency, we only saw a small 10% increase in ping from EU to US – a great selling point for gamers in particular. PIA handled the download speed test like a champ as well. The international test score for PIA was reducing download speeds by less than 30% across the US and EU. In the international upload test, Private Internet Access slowed upload speeds by less than 30%, ranking it among the best providers in this scenario. All in all, Private Internet Access won’t be setting any records with its speeds, but it’s definitely up there among the fastest VPNs. If you take a look at the overall package with this in mind, then PIA is more than recommendable as a VPN provider. If speed is your deciding factor though, you’ll definitely find faster VPNs. Our test revealed that Netflix does work on PIA’s servers. In fact, the very first server we connected to worked. You can watch our video on the bottom of this VPN review for additional proof. Private Internet Access offers a wide range of features, and that includes P2P support. There were no mentions on the PIA website about any policies concerning torrent downloads, nor were there any indications that they promote it. Worst-case-scenario, the user is still technically safe since PIA does not keep logs anyway. 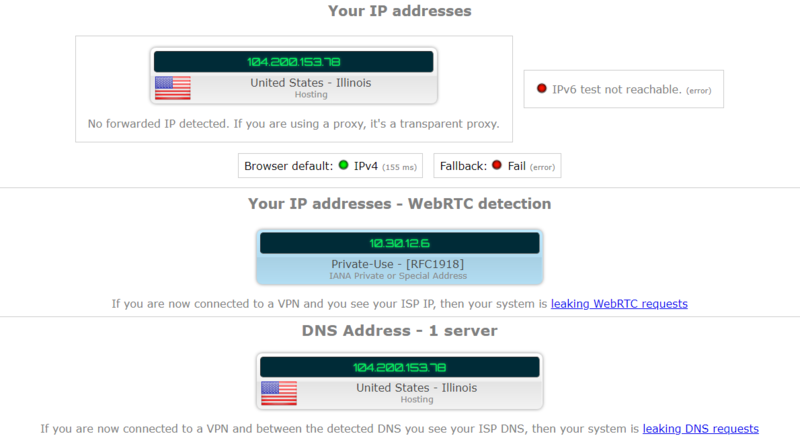 IP and DNS Leak Test: Another pass for PIA! When it comes to IP leaks, DNS leaks, and WebRTC leaks, Private Internet Access came out squeaky clean in our tests, meaning no leaks of any nature were found. We ran a leak test for IPv6 after and the results came back clean. It’s worth bearing in mind that there have been reported cases where users have dealt with the WebRTC bug while using PIA. In order to prevent a WebRTC leak, you may need to disable WebRTC in your browser. Encryption and Protocols: Strong and secure, just the way we like it. 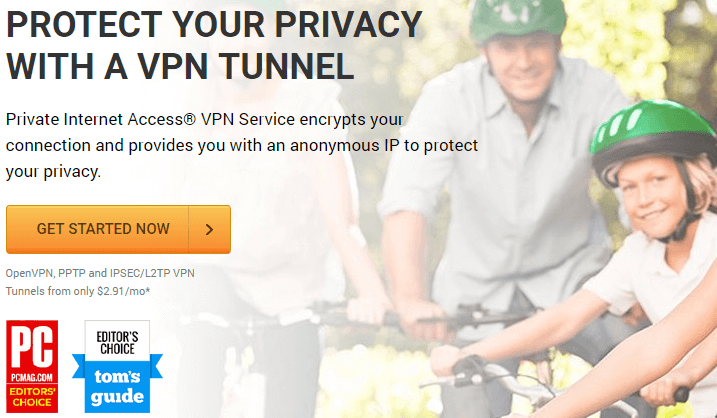 Private Internet Access “uses the open source, industry standard OpenVPN for providing a secure VPN tunnel”. PIA does offer a few different options, giving customers the freedom to choose the level of encryption for their VPN sessions. When choosing an encryption option, you need to consider the 3 default options: data encryption, data authentication, and handshake. Data encryption is the symmetric cipher algorithm itself, used for encrypting and decrypting your data. The fastest encryption mode is AES 128-bit in CBC mode (due to a lower encryption standard). There is also the possibility of using AES 256-bit in CBC mode or no encryption at all. Having this encryption means that your IP will be hidden and your login details will be encrypted. The data, however, will be totally exposed. Speaking of data authentication, it’s a feature used to protect you from active attacks. If you’re not concerned about attacks of this type, you might as well turn such authentication off. The fastest authentication mode is SHA1, more exactly HMAC using Secure Hash Algorithm (160-bit). Another possibility is SHA256 (256-bit). The Handshake Encryption is actually a secret key shared between you and the server, used to establish a secure connection. PIA offers 6 possible keys: RSA-2048, RSA-3072, RSA-4096, ECC-256k1, ECC-256r1, ECC-521. The ECC (Elliptic Curve Cryptography) option comes with a warning. Due to certain NSA revelations, the ECC keys may be susceptible to cracking. Because of the fact that it is not proven that ECC keys lead to endangerment, they are still available at your own risk. What’s more, PIA has picked the most reasonable default settings and highly recommends to customers to stick with them. Depending on your needs and ultimate goal, there are 4 options for you to choose from. Kill Switch: Kill switch activated for your safety! One of the many great security features that PIA has deployed is a Kill Switch. This is very useful on the off-chance that your VPN is leaking either the IP address/DNS; in such cases, the kill-switch automatically disconnects and shuts down every internet connected app. When it comes to a long-term subscription plan, Private Internet Access is one of the cheapest VPNs on the market. The price range for PIA’s services used to start from $69.95 for two years (or $2.91 per month) and scaled up to $39.95 per year ($3.33 per month), which made it financially accessible for any customer. The Monthly plan is the most expensive one, with a price of $9.95 per month, but as you’d expect, Private Internet Access VPN offers significant discounts for long-term contracts. The Two Year plan works out most cost-effective for customers, costing on average, $3.49 per month; $6.46 cheaper than the Monthly plan (-65% discount). If you’re determined to opt for PIA, we recommend going for the two-year plan, as it makes the most sense financially. Apart from these 3 plans, PIA offers VPN for businesses, with rich features such as admin portals and single-sign on with G-Suite. Private Internet Access provides seven-day money back guarantee, allowing you to try out their service for a week, claiming your money back if you’re not satisfied. As a result, there is no free trial. It’s a little sad to see a bump in the prices, but it seemed to be long overdue and will most likely not happen again in the near future. If you’re scared of another price increase, you’d better sign up now while it’s this cheap! Payment Methods: You can pay with just about anything! When it comes to paying, PIA accepts all kinds of payment methods. You can pay with a Credit Card, PayPal, Amazon Pay, or MINT. A big bonus to PIA’s payment options is the ability to pay anonymously with many major brand gift cards like Walmart, Best Buy or Starbucks. The cherry on the top? You can also pay with cryptocurrencies (Bitcoin Cash, Bitcoin, Bitpay, and ShapeShift). Apart from payments being completely anonymous, you’ll receive instant access and 100% security. If you’re not 100% satisfied with PIA VPN, you can get your money back. If you have any doubts about how to word your refund request, just follow our email word-for-word. As you can see in the email log, the whole process took less than 12 hours. 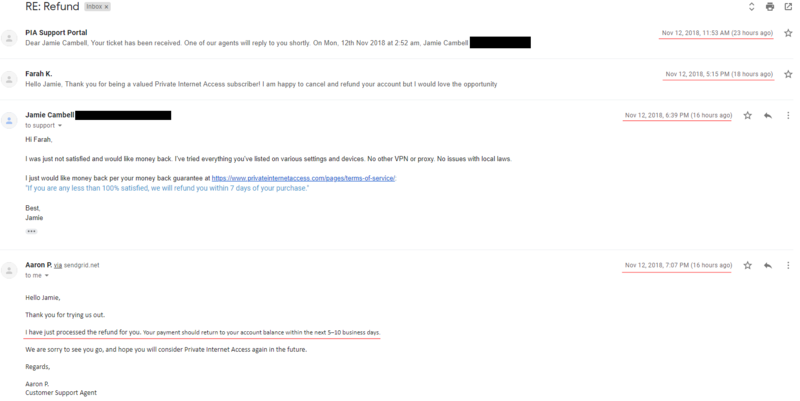 They got back to us with a confirmation of the refund request within an hour. Device Compatibility: How would you like to access your VPN? PIA lets you use their service on up to five devices simultaneously. You can use Private Internet Access for Windows, Mac OS, Android, iOS, and others. PIA also pushes for updates and changes. One recent UI changes they’ve made are shown below for the new Windows version. As mentioned before, PIA pushes for anonymity with features like crypto payments. You can even use a fake name if you wish. This means that the level of personal identification is entirely up to you – a choice we love to see offered. They’ll randomly generate a username for you if you wish. This definitely helps avoid any links to your other online profiles; handy! Once you complete your payment, you can move to the download area and choose suitable software for your needs and particular devices. Apart from PIA being available for almost any platform, you can also use third-party software such as OpenVPN GUI, OpenVPN Connect (iOS), or OpenVPN for Android in the download process. Customer Support: No 24/7 live chat. Tickets, please. Most well-renowned VPN services offer 24/7 live chat support. This, however, isn’t the case with Private Internet Access. The knowledge base of PIA is compiled with lots of practical articles, information based on the most common customer’s questions. The FAQ is organized into 5 different sections, making it easy to get around and find the answers to your issues. After filling out the contact form, we received an automated response via email. The message told us that the ticket had been received and would be reviewed shortly by a support agent. A few hours later, we got our response. With all this in mind, we would not rank PIA’s customer service very high. While Private Internet Access advertises 24/7 support, this is far from true. What Do PIA customers Think? I agree wholeheartedly. 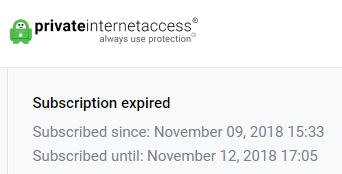 Been a user I think 4 years this month and not one problem. Really great service. And on Reddit, PIA is one of the most favorited VPNs due to its court-proven no log policy. All in all, Private Internet Access is a strong VPN, and a worthy of being considered one of the best VPN services available. Although it has its drawbacks and disadvantages – namely the US jurisdiction and weak customer support – the features it offers are worth the competitively low asking price. Remember, while Private Internet Access offers strong security features, it’s ultimately up to you to decide what’s most important to you. PIA was mainly designed to protect its users and provide them with a secure VPN tunnel with extra powerful encryption protocols. The court-proven no logging policy is something that few other VPN services can boast about, which ranks Private Internet Access (London Trust Media, Inc) considerably higher in terms of security. With its wide array of servers around the world and ability to bypass Netflix or BBC iPlayer region blocking, Private Internet Access VPN is a top-tier pick, without a doubt. The service they provide is definitely worth considering, and we highly recommend this VPN. + 7-day money back guarantee. - Falls short in customer support.